Mosquito is a major problem in many places especially in Western Africa, India, South America and other hot and humid regions or climates. Mosquitoes spread numerous fatal diseases such as malaria, zika virus, several encephalitides, and dengue. People that sweat or have high body temperature attract mosquitoes to themselves. Talking too much or breathing too hard could attract mosquito to you as mosquitoes are attracted to carbon dioxide. Avoid stagnant water in your yard or garden. Provide habitat for natural mosquito predators such as frogs, dragonflies, birds, and turtles. You could use herbs and essential oils (such as eucalyptus, marigold, and citronella) to repel mosquitoes. When it comes to repelling mosquitoes, there is nothing better than lavender. The sweet scent not only creates a relaxing environment for humans but also repels mosquitoes at the same time. Lavender essential oil can be mixed with other oils and topically applied to the skin. Alternatively, you may make a herbal tea and let the aroma spread in your home to repel the mosquitoes. The strong herbal smell of basil leaves keeps mosquitoes away from invading your home. Grow them in pots around the doors and windows to prevent mosquito infestation in your home, especially during the evenings. Citronella belongs to the grass family and has a distinct aroma that effectively repels mosquitoes. When crushed, an oil is released which can be directly applied to the skin to check mosquitoes. You may also mix it with other oils and use it as a repellent. Growing citronella in pots around your home is also an effective remedy to repel many insects. The flavourful herb comes from the mint family and is commonly used to make teas. It can be used to effectively repel mosquitoes from your surrounding. Just crush some lemon balm leaves and rub it on your skin. If you have a yard, you may grow lemon balm without any difficulty. Cloves work as a great mosquito repellent. 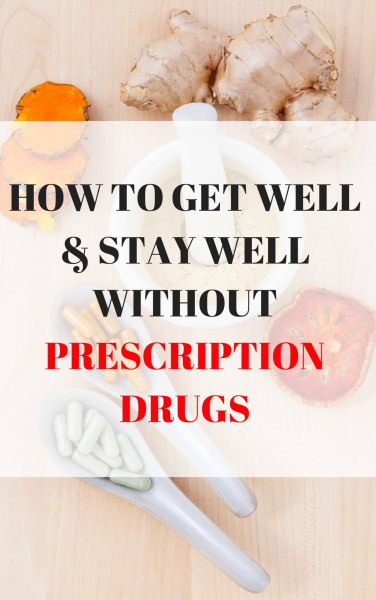 They have great medicinal properties that make them a great remedy for a toothache. The strong scent can be effectively used to repel mosquitoes when you are outdoors. Just keep a sachet with few cloves in your pocket. Planting cloves can naturally reduce the number of mosquitoes around your home. Placing a few cloves with freshly cut lemon works best in warding off flies, mosquitoes, and other insects out of your home. Consuming black pepper is known to discourage mosquitoes in a natural way. You may also sprinkle some of it around your place. If you are using black pepper oil, make sure to follow the directions and avoid applying it in an undiluted form to your skin as it may irritate the skin. You could also make a drink by boiling black pepper with water to boost your health while keeping mosquitoes away from you. With its wonderful smell, the uses of cinnamon are not just limited to flavoring your food. The strong smell can deter the mosquitoes in an effective way. Mix a quarter teaspoon of cinnamon powder in a bowl of warm water and place it in your room. The sweet smell will slowly spread in the room and make the mosquitoes leave your room. The strong aroma of the evergreen tree is not only useful in warding off many pests and insects but is a great remedy for repelling mosquitoes too. Eucalyptus oil is readily available and can be mixed with other oils to make a spray solution that keeps mosquitoes away. The pleasant colored flowers of ageratum, or floss flower, have a strong smell that irritates the tiny insect. A substance called coumarin which is released from the plant is known to have a repulsive action on the insect. Mosquitoes find this odor offensive and keep away from it. The oil can also be used to apply on the skin to deter mosquitoes. The presence of an oil, called nepetalactone, provides catnip a characteristic fragrance that repels the mosquitoes. Nepetalactone is found to be 10 times more effective in repelling mosquitoes than DEET (a commonly used artificial repellent used in chemical products). Growing catnip in your garden will provide increased protection against mosquitoes and the diseases caused by them. Peppermint is extensively used in natural repellents used to ward off a variety of insects and pests. The strong smell deters them in an excellent way without causing any harm to humans or the environment. The best part of using peppermint is it helps in reducing the annoying itchiness that is associated with mosquito bites. Just crush 2-3 peppermint leaves and apply it to your skin to reduce itching as well as repel the mosquitoes. Rosemary is a spice widely used in preparing fish curries and lamb dishes. It is readily available in your kitchen and is highly effective in deterring the mosquitoes naturally. You could spray diluted rosemary essential oil around the house to eliminate mosquitoes. Planting the woody fragrant perennial herb in large pots is another great way to increase the beauty of your garden while keeping mosquitoes and other insects away. Garlic may not seem the best way to repel mosquitoes but it can help them keep them away to some extent. Use it by cutting garlic and spreading it around the house to release the aromatic odor. You can also spray diluted garlic juice to keep the mosquitoes away from the room. Alternatively, you may mix garlic with other oils and spray it in your rooms to make it mosquito free. Lemon thyme has a distinct citrus smell that repels mosquitoes. Since they get irritated with the smell, they don’t fly around the place where lemon thyme is used. For a natural repellent, crush some of the leaves and rub it directly on your skin. But before applying to a large part of your skin, do a skin test by applying it to a smaller part. Marigold contains pyrethrum which acts as a powerful mosquito repellent. The substance is not only annoying for mosquitoes but for other bugs too. Planting marigold around the entire perimeter of your garden will help to eliminate mosquitoes from your home. Pluck the flowers and keep it inside your rooms to repel the mosquitoes. Nodding onion belongs to allium family and has a great mosquito repelling property. The strong scent not only helps you get rid of mosquitoes but a variety of other dreaded insects and pests that usually invade our house. Extract some juice of nodding onions and apply it to the skin. It does not cause any irritation and reaction to the skin. The pitcher plant is carnivorous in nature and absorbs nutrition by trapping small insects including mosquitoes. It uses its unique predatory mechanism to attract and trap the insects that fly near it. So, if you have too many mosquitoes around your house, try growing pitcher plants. Cedar oil is extensively used in herbal products for repelling mosquitoes. Use the oil mixed with water to spray in your living area to ward off the mosquitoes and other insects. The distinct smell will safeguard you from mosquitoes in a natural way. Growing cedar hedges in your yard is another great way to protect yourself from mosquitoes. If you get hold of a bottle of organic soy oil, you may be able to get rid of mosquitoes around your home in an easy way. It works as effectively as DEET present in chemical repellents. Since the organic soy oil does not cause any reaction or irritation to the skin, it can be safely used to apply topically before exposing yourself to a place having a large number of mosquitoes. Although, it may not be a good option if you are allergic to soy products. The aromatic odor of lemongrass may seem good to humans but it can irritate the mosquitoes and other bugs. It belongs to the same family of citronella and has a great resemblance to it. Lemongrass is commonly used to flavor chicken dishes. The anti-inflammatory herb works well to safeguard you and your home from mosquitoes. Grow lemongrass in pots, around your home, to get rid of them. You may also use lemongrass essential oil mixed with a carrier oil, such as olive oil, to spread the insect repelling fragrance. Besides decorating your homes with its bright and beautiful flowers, geranium can be used as a powerful mosquito repellent. The plant can be grown in pots which you can place near the doors and windows to prevent the entry of mosquitoes in your house. The bright color and strong scent keep mosquitoes away in a natural way. Drosera is another carnivorous plant that obtains its nutrition from tiny insects including mosquitoes. The plant releases a smell which is irresistible to the mosquitoes. As soon as insects come near it, they get trapped in the stickiness of the flowers thus helping you get rid of the pesky insects. Wormwood or Artemesia is great natural mosquito repellent that may protect you against the diseases associated with them. Get some wormwood and crush it. Spread it around your house and in the garden. The strong scent will deter them in a natural way. You can grow Roman wormwood easily to ward off mosquitoes. Vanilla leaf, or achlys triphylla, is an excellent remedy for repelling mosquitoes. Vanilla leaves are an age-old remedy to keep the house free from mosquitoes and flies. A study, published in Asian Pacific Journal of Tropical Medicine, reveals the great ability of lotus in killing the mosquitoes in a natural way. If you have backyard ponds that becomes the perfect breeding ground for mosquitoes, growing lotus in these ponds will help in keeping your home free from mosquitoes. Bee balm is also known as wild bergamot and horsemint. The attractive flowers of the plant attract birds and bees but the leaves act as a natural repellent for mosquitoes. So, if bee balm leaves are readily available in your garden, you can spread some crush leaves in your rooms to get rid of mosquitoes. Margosa oil or neem oil can be effectively used to deter the mosquitoes. The insect repelling capabilities of margosa oil is comparable with those of DEET minus the side effects associated with the artificial repellent. Spray a few drops of margosa oil in your home to keep most insects away. The flowers of the aromatic plant are often used in flavoring dishes. 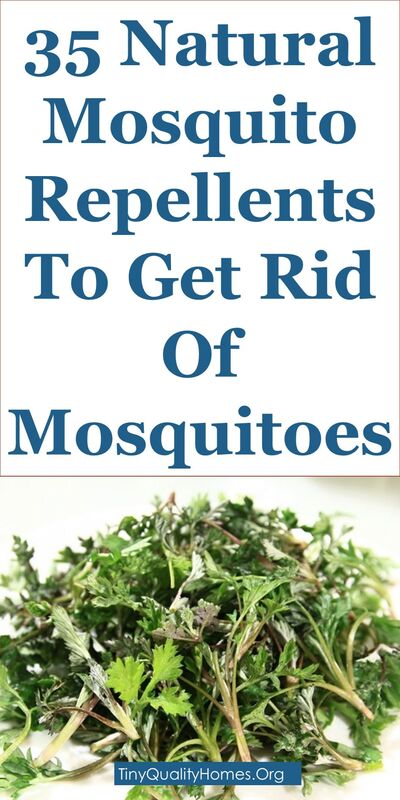 It can also help you repel mosquitoes from your surrounding. Spray pennyroyal essential oil around your home to repel mosquitoes. Planting nicotiana in small pots around your home may increase your protection from mosquitoes. It is known to release a mosquito repelling odor in the evening time when they attack your home in huge number. Just grow nicotiana and enjoy every night without seeing mosquitoes. Woodruff is commonly used in herbal medicines to deal with digestive problems. Besides its medicinal value, it also acts as a mosquito repeller. Grow these plants across your garden to stave away these tiny dreaded creatures. Sweet fern is a herb that can be used as a powerful mosquito repellent. Placing it in fire cleans the surrounding area from bugs and mosquitoes due to its fumes. Alternatively, sweet fern oil can also be used to safeguard yourself against the insect. The perennial plant can be easily grown in the garden or in pots near your doors and windows to deter mosquitoes and keep them from entering your home. The citrus scent released by the plant is refreshing for humans while being irritating to mosquitoes. You may also use its oil to get rid of the mosquitoes in a natural way by putting its oil in a spray bottle. Also known as matricaria matricarioides, the pineappleweed has a distinct odor similar to pineapple. The dried herb is used to make tea. The plant naturally repels a large number of insects including mosquitoes. Tansy is another gift of nature that helps in repelling bugs and mosquitoes in a natural way. The plant has high medicinal value and is used to treat many health problems. This low maintenance plant is easy to grow in your yard. Use it near the doors and windows to check the entry of mosquitoes. Tea tree oil is extensively used in skin care products due to its medicinal properties. Surprisingly, the plant is extremely useful in repelling bugs and mosquitoes. All you have to do is make a solution using a few drops of tea tree oil and water. Then, fill it in a spray bottle. Keep spraying at places where mosquitoes bother you. You may also grow the plant to ward off mosquitoes.